The Best Guided Tours to Take in Raleigh, N.C.
One of the best ways to discover Raleigh, N.C., is with one of the fun and fascinating guided tours available in the area. Sample scrumptious cuisine and delicious brews, gain a little insider knowledge from savvy locals, explore the arts or just head out for tons of fun. A great guided tour can be an amazing experience—and there’s no better place to book one than in the City of Oaks! Discover where history, cuisine and spirits collide with awesome tours that will surely have your taste buds tingling. Tour the area&apos;s booming beer scene one brewery at a time with Beltline Brew Tours. Sit back and let the driver do the work as you enjoy beer samples and learn interesting facts about the state&apos;s first woman-owned brewery, the Holly Springs brewery launched in a family kitchen and much more. Exclusive private tours last between three and four hours and include fantastic local breweries such as Aviator Brewing Company, Crank Arm Brewing and Nickelpoint Brewing Co.
Raleigh Brews Cruise is another tour that focuses on the variety of local brews. This tour whisks guests away on a journey, showcasing the fascinating brewing process and highlighting the uniqueness of each brewery. Go behind the scenes, tasting samples along the way and learn about what goes on inside and outside the bottle. From beer lovers to home brewers, this tour definitely appeals to wide range of visitors and locals. If you appreciate Southern cuisine at its finest, then let your taste buds take you on one of Raleigh&apos;s tastiest tours. Try some of the most dynamic dishes in the area with Taste Carolina Gourmet Food Tours (recently named one of 10 must-try food tours in America!). Tours run on Fridays and Saturdays, but private outings can be arranged for any day or night of the week. Choose from an afternoon tasting tour, a dinner and drinks tour or the mysterious speakeasies cocktail tour (how about all three?!). 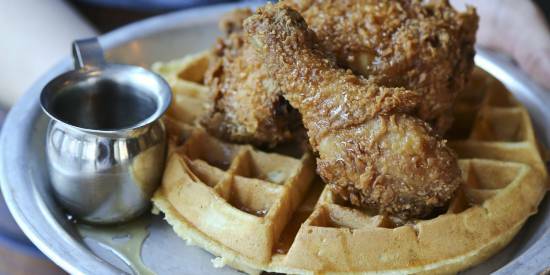 There’s also Triangle Food Tour, a culinary quest spanning all five downtown Raleigh districts. Learn about Raleigh’s flavorful history as you walk, taste and sip your way through locally-owned restaurants, picking up whimsical, historical tidbits along the way. Insider tip: Don’t hold back at any of the tour stops—taste everything! It’s a walking tour after all, so you’re bound to get those 10,000 steps in. Last, but certainly not least, Axes & Ales Party Tours gives visitors the opportunity to cruise around downtown Raleigh in a big, red fire engine. Veteran-owned and operated by two local firemen, Axes and Ales brings out the firefighter in everyone with an experience perfect for birthdays, bachelor/bachelorette parties and corporate events. Insider tip: You can BYOB on this tour or purchase drinks from bars and breweries along the way! 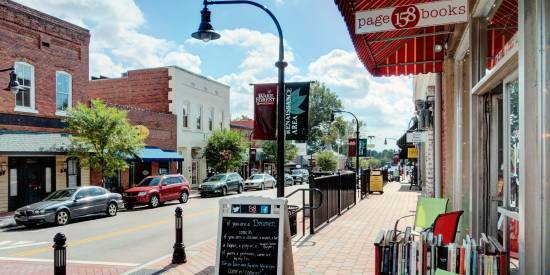 Raleigh is where big city meets small-town Southern charm, and this unique intersection comes with a rich history. Check out a few of these tours that dig deep into Raleigh’s roots. Travel back in time and learn about the African-American experience in historic Raleigh with Capital City Tours. This enlightening tour shares little-known aspects about our capital’s history and will leave you feeling more informed than when you started. From visiting cultural landmarks to learning about the South’s oldest black university, this professional tour guided by passionate locals both beautifully shares and honors the African-American experience in Raleigh. Historic Raleigh Trolley Tours is another superb, historical tour option. With its snazzy motorized coach, this trolley leaves from Mordecai Historic Park and passes the Joel Lane Museum House, Fayetteville St. and City Market. Filled to the brim with splendid sightseeing, the tour costs only $10 for adults, $4 for youth and is free for children under six. You can also rent the trolley for special occasions or parties. Zoom around the city in style on a sporty Trikke (pronounced Tr-EYE-k) tour with Carolina Touring Company, the “next generation” of touring. 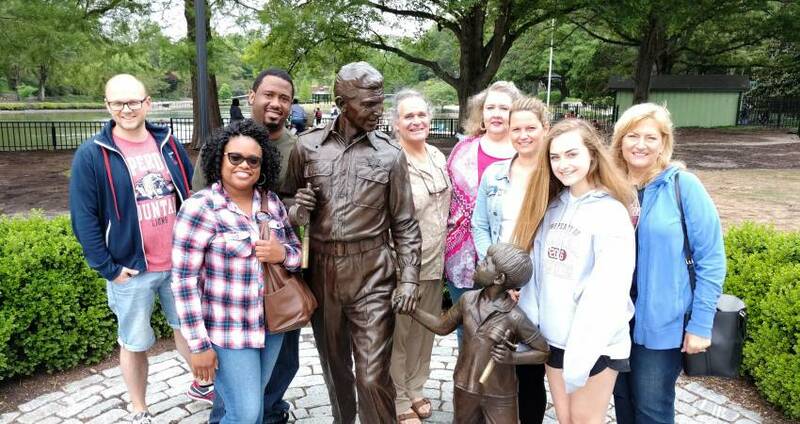 Carolina Touring makes history fun with five different tour routes in downtown Raleigh where you can learn about local history as your cruise around. Helmets for safety and audio packs are provided, and all riders must be at least 14 years of age to ride. Insider tip: Riding a Trikke is as easy as riding a bike! Be sure to wear comfy shoes and lean on the staff at Carolina Touring if you should require additional assistance. 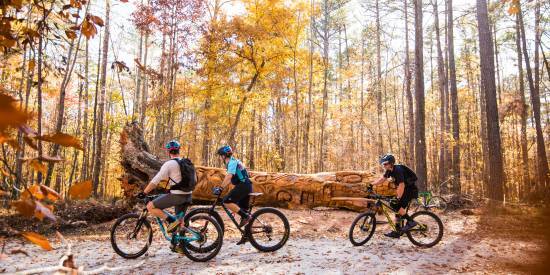 As the only full-service tour operator around the area, Tobacco Road Tours offers a variety of packaged tours, ranging from a Raleigh pub crawl to a craft cocktail tour to a culinary and cultural walking tour. Already have an activity in mind? Chances are Tobacco Road has thought of it too, so check out their website for a full listing of Raleigh tours, both public and private! Every Sat. at 2pm, you can explore the heartbeat of Raleigh with Fayetteville Street Walking Tours. This street may only stretch a half mile, but there is no shortage of rich history in its people, places and political movements. A must-do for locals and visitors alike, this one-hour tour takes you on a 200-year journey through Raleigh’s history. Insider tip: These tours only run through the end of 2018 in celebration of “the year of the museum,” so make sure you get your tickets soon! Tickets can be purchased at the City of Raleigh Museum (COR Museum) on the day of the tour. The Great Raleigh Trolley offers all the comforts, convenience and safety of modern transit while still transporting riders back to a time when trolleys and streetcars dominated the streets. With a drink in hand, go on one or more fabulously themed tours, such as “Brunch and Bubbly” or “Santa Express” for the holiday season. The tours are even more fun with a group! From birthday parties to pub crawls, the trolley is an entertaining way to see the sights in the City of Oaks. For a few final quick-hitters, try a guided tour at the North Carolina Museum of Art or CAM Raleigh, where exhibitions change throughout the year. Other neat options include the Mordecai Historic Park Guided Tours, the Historic Oakwood Candlelight Tour (an annual event, Dec. 8 and 9 in 2018! ), and free self-guided (Mon.-Fri., 9am-5pm) or guided tours (Sat., 11am and 2pm) of the North Carolina State Capitol. On that last one, be sure to inquire about the statue of George Washington in a toga! Happy touring!